It’s filing season again, that time of year when we get to peek at what big, high-profile investors are buying. And perhaps no portfolio is waited for in more anticipation that Warren Buffett’s Berkshire Hathaway (NYSE:$BRK-A). Buffett is still bullish these days, even with all the talk of the fiscal cliff. If we fell over the cliff and the economy got whacked with higher taxes and massive spending cuts, Congress and the White House would hash out a deal before the economy slipped into recession. “We’re not going to permanently cripple ourselves,” he said recently in a CNN interview. That may be true, but I’m a little more worried than Mr. Buffett. I agree that a deal will get made eventually, but the psychological damage can still be huge. And we could easily get a deep stock correction or a recession in the meantime. Policy paralysis has consequences. With that said, what is Buffett and his team buying and selling these days? To start, he’s buying broadcast TV. Berkshire Hathaway bought nearly 20% of Media General (NYSE: $MEG). This is a small holding for a portfolio of Berkshire’s size, but it does show bullishness on the part of Buffett for traditional media. I like to think I am a contrarian investor. But then I look at Warren Buffett and I realize that I’m not nearly as big of a contrarian as I thought. I wouldn’t touch traditional media right now because I can’t see where the profits will come from. Advertising is an industry in flux, and TV competes with the internet for eyeballs. But then, there is a proper price for everything, and Buffett seems to believe that, at .16 times sales, Media general is simply too cheap to ignore. Buffett additionally made three additions in the gritty industrial sphere, buying nearly 4 million shares of Deere & Co (NYSE:$DE), the producer of tractors and others heavy-duty equipment, 1.2 million shares of Precision Castparts Corp (NYSE:$PCP), which is essentially a metal shop with a worldwide presence, and 1.5 million shares of Wabco Holdings Inc (NYSE: $WBC), a world leader brake and control systems for large commercial vehicles. Truck parts and tractors. Buffett clearly believes that industrial activity will be picking up in the years ahead, both in the United States and overseas. Now, what’s Buffett and his team selling? He sold out of Dollar General (NYSE:$DG), Moldelez International (Nasdaq:$MDLZ), Ingersoll-Rand PLC (NYSE:$IR) and CVS Corp (NYSE: $CVS). The sales have little obvious in common, other than all but Ingersoll-Rand have a strong consumer focus. Dollar General is a discount retailer of assorted sundries, CVS Corp is national chain of pharmacies, and Mondelez is a producer of packaged foods. Yet Berkshire still maintains enormous positions in Coca-Cola (NYSE:$KO), Procter & Gamble (NYSE:$PG) and Wal-Mart (NYSE:$WMT), so you can’t reach the conclusion that Buffett is bearish on the consumer. Still, Berkshire’s portfolio has been consistently drifting away from consumer-oriented stocks for months and towards grittier industrial stocks and business services stocks such as IBM (NYSE:$IBM). Disclosures: Sizemore Capital is long PG and WMT. SUBSCRIBE to Sizemore Insights via e-mail today. As I wrote back in August, it can be helpful at times to look over the shoulders of successful investors to see what their highest-conviction investments are. And during times like these, when the economy is looking wobbly and the potential for a Eurozone meltdown is hanging over our heads like the sword of Damocles, that extra insight is all the more valuable. Today, I’m going to take a look at one high-conviction dividend stock each from three investors whose skills I respect and whose track records have withstood the passing of a crisis or two. The usual caveats apply; I’m basing this analysis on SEC filings that are reported on a time lag and may already be out of date by the time they become publicly available. For these reasons, I will stick with large positions that the investor has held for a long period of time or new positions that I consider unlikely to have been sold so quickly. Let’s start with the granddaddy of modern value investors, Berkshire Hathaway’s ($BRK-A) Warren Buffett. Mr. Buffett made quite a splash last year when he bet big on technology powerhouse International Business Machines (NYSE:$IBM). It was his first major purchase in the tech sphere, and it quickly became one of Berkshire’s largest holdings. Buffett added to his position last quarter, and IBM now accounts for nearly 18% of Berkshire’s portfolio. The appeal of IBM is straightforward; Buffett was attracted by the stability of the company’s cash flows and its business model as a high-end service provider whose customers are locked in to long-term contracts. But its qualifications as a “dividend stock” might be a little more controversial. At current prices, IBM yields only 1.6%. Still, this is roughly in line with the current yield on the 10-Year Treasury Note, and—importantly—IBM’s dividend rises every year. IBM’s dividend rose 13% this year and 15% the year before. Of course, this is nothing new. IBM is a proud member of the Dividend Achievers index, an exclusive fraternity of stocks that have boosted their dividends for a minimum of ten consecutive years. So while the current yield of 1.6% is a little uninspiring, it’s safe to assume investors buying IBM today will be enjoying cash payouts far higher in a couple years’ time than they would have had they opted to invest in bonds. Next on the list is the “Warren Buffett of Canada,” Fairfax Financial Holdings (FRFHR) Chairman Prem Watsa. Like Buffett, whom Watsa admires, Watsa built his financial empire around a solid insurance business, which provided him with a growing float to invest. And like Buffett, Watsa is known for being a patient investor who often holds his best positions for 5-10 years or even longer. Watsa’s track record speaks for itself. According to research site GuruForus, Watsa has grown Fairfax’s book value by an astonishing 212% over the past ten years. This compares to total returns of just 34.9% for the S&P 500. Impressively, he actually made money in 2008. Fairfax saw its book value rise 21% in the midst of the worst financial crisis in 100 years. Diversified health and pharmaceutical company Johnson & Johnson (NYSE: $JNJ) is Watsa’s largest holding by far, and accounts for more than 21% of his listed portfolio. Johnson & Johnson is an obvious choice for a conservative dividend stock, and it is a current holding on the Sizemore Investment Letter’s Drip and Forget Portfolio. It also happens to be one of the highest-yielding major American blue chips, with a 3.5% dividend at current prices. And like IBM, Johnson & Johnson has a long history of raising that dividend. J&J is a member of the Dividend Achievers Index. Given the low repute of ratings agencies this matters less than it used to, but Johnson & Johnson is one of only four American companies to have its bonds rated AAA. Yes, Johnson & Johnson is actually considered to be less risky than the U.S. government, and its stock pays more in yield. This is one you can buy and lock in a proverbial drawer. 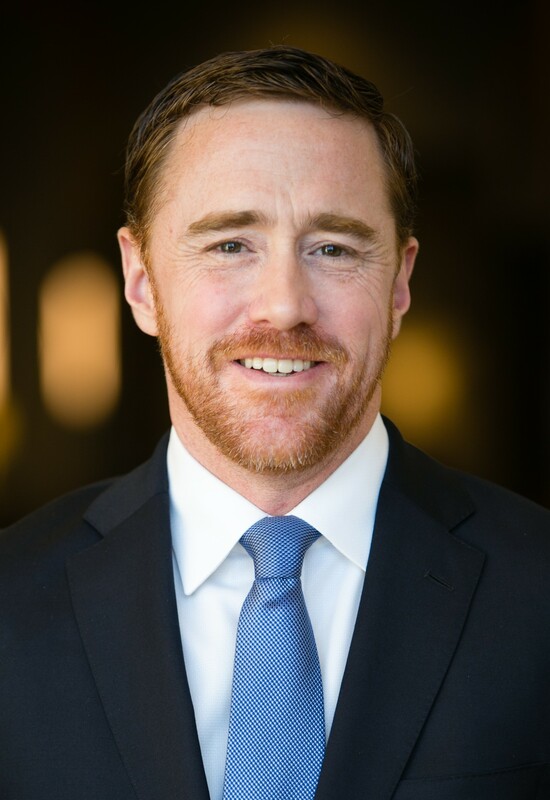 Our final guru today is hedge fund manager and fellow Dallas resident Kyle Bass, principal of Hayman Advisors. Though he does trade equities, Bass is a macro investor better known for making large bets in the credit and currency markets; he made his investors a small fortune betting against subprime mortgage securities in the run-up to the 2008 meltdown. Bass’s equity portfolio is completely dominated by Six Flags Entertainment Corp (NYSE:$SIX), the owner and operator of theme parks. Six Flags makes up nearly 40% of his equity holdings. With a current yield of 4.1%, Six Flags certainly qualifies as a dividend stock. But readers should consider this stock a riskier bet than IBM or Johnson & Johnson. Theme parks are sensitive to the state of the economy, and the stock trades at a nosebleed valuation of 32 times expected 2013 earnings. There is a lot of optimism built into the price at current levels. All of this said, Bass has certainly done well by owning Six Flags—it’s up more than 100% over the past year—and he clearly has a high level of conviction in the stock if he’s make it nearly 40% of his equity portfolio. Disclosures: Sizemore Capital is long JNJ.